Sigma Beauty Affiliate Program: March's Sigma Beauty Classy Affiliate Award! It’s time to announce the Sigma Beauty Classy Affiliate for the month of March! This affiliate has done great job using a variety affiliate techniques in a classy and respectful manner. We are excited to introduce you to Bianca from http://makeupada.blogspot.com! Keep reading to check out her blog and learn about her classy techniques! Bianca has utilized the new Sigma Beauty affiliate banners, giving her blog a striking and updated look. By placing her affiliate banner prominently at the top of her blog, she has increased her chances of receiving clicks and generating a sale! 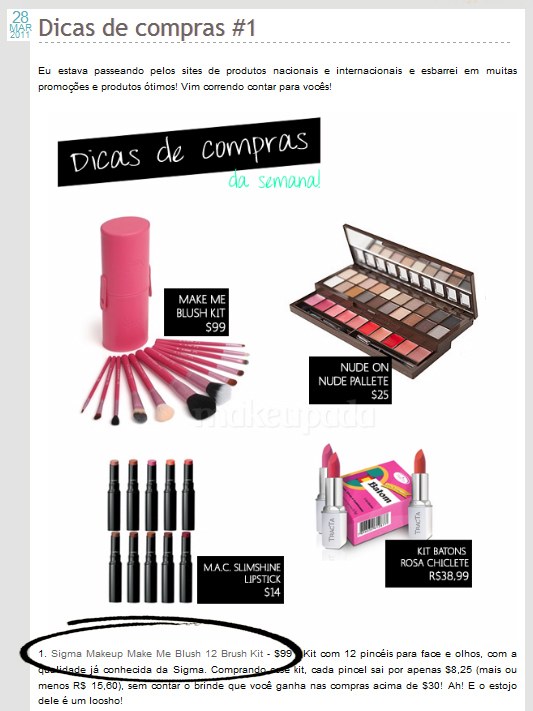 Bianca has created interesting and fun blog posts showcasing Sigma Beauty products and linking the products to her Sigma Beauty Affiliate link. As you can see in the post below, Bianca has done a great job of balancing appealing content with promotion of Sigma Beauty. Also, Bianca provided exciting information about the upcoming release of the Sigma Beauty makeup line. 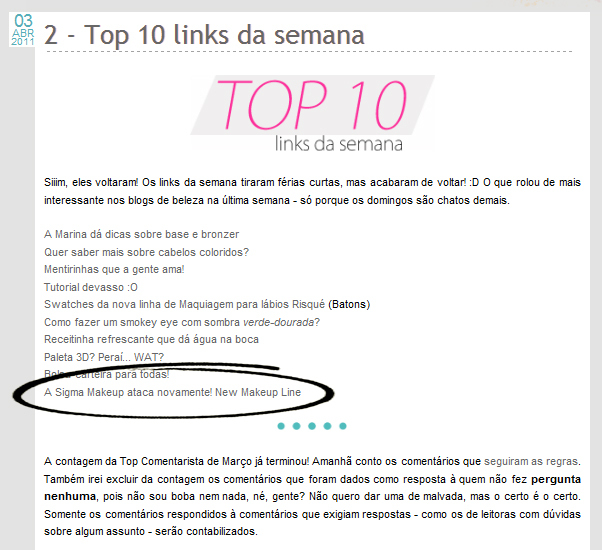 In her post below titled, “Top 10 Links of the Week”, you can see how Bianca included her link to an additional post containing pictures and information about the new makeup line. Posts like this help to create excitement and anticipation about the products at Sigma Beauty, also increasing the likelihood of a sale! We loved Bianca’s classy affiliate techniques, and we are happy to announce her as March’s Sigma Beauty Classy Affiliate! Thank you all for your applications, you are doing such a wonderful job! If you would like to sign up for April’s Classy Affiliate Award, you can fill out the application here! Congratulations Bianca, I'm happy to see a Brazilian with emphasis! Hi! im a sigma afiliate! can i post on my blog some of the sigma.com pictures? thanks so much! @Liz Albuquerque Yes! You can use pictures from our wesbite!